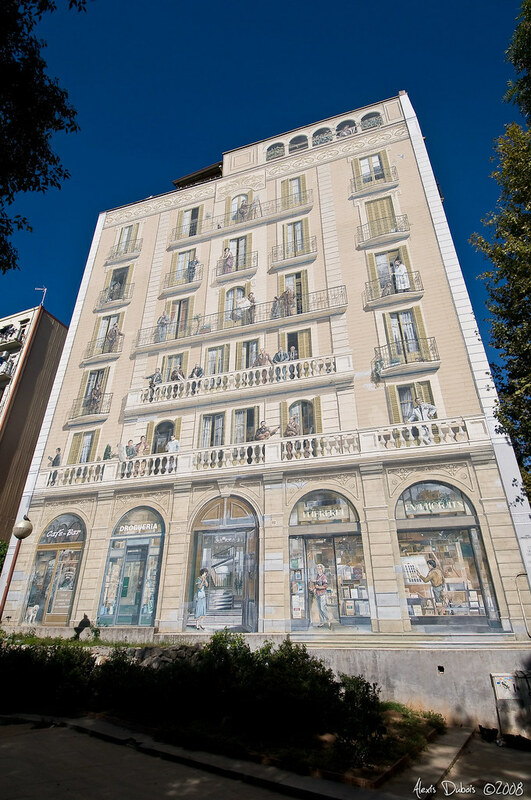 Believe it or not, the facade, the windows and the balconies shown above are not real but are part of a huge (450 sq metres) mural on a sidewall of a building in Barcelona Spain. Painted in 1992 it is known as "Balcons de Barcelona" and it depicts famous personalities of Barcelona. The art of such painting is known as Trompe L'Oeil. A French word meaning "trick the eye". The paintings give an optical illusion in which a two dimensional painting looks like a three-dimensional object. There are many such murals/paintings around the World.